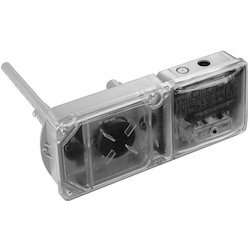 Our range of products include photoelectric smoke detector, smoke detector and system sensor duct smoke detector. This product is a Photoelectric Smoke Detector which runs by detecting smoke particles. Adopted special structure design, and photoelectric single processing technique, it has the functions of dustproof, mothproof, and anti-electromagnetic interference, the stability of the product is assured from the above, it performs well in detecting visible smoke by hidden or bright fire. We are reckoned as a one of the distinguished manufacturer and supplier of Smoke Detector. Its alarm signal is only enabled only after satisfied that an incipient fire has been detected, this smoke detector is provided in numerous specifications as per the need of customers. The smoke detector is well examined on quality norms to assure flawless range. We make use of the best quality material and advanced techniques for designing this smoke detector. Keeping the track of latest happening of this domain, we present patrons with the premium quality of System Sensor Duct Smoke Detector. 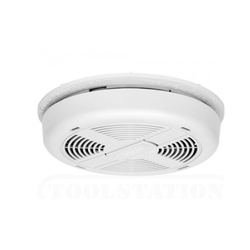 Used for detection of smoke and fire, the system sensor duct smoke detector is known for its excellent programmable sensitivity. Easy installation and low maintenance make the system sensor duct smoke detector highly demanded.